NOTE: this Digital Download contains the Full Conductor Score and all Parts for full concert band. Also included is a Site License allowing a band director to make as many copies as needed for their school. This permission is not extended to individuals – only to schools. This is a literal transcription of the rousing fanfare that opens the famous 1607 Italian opera. Excellent for opening your concert! 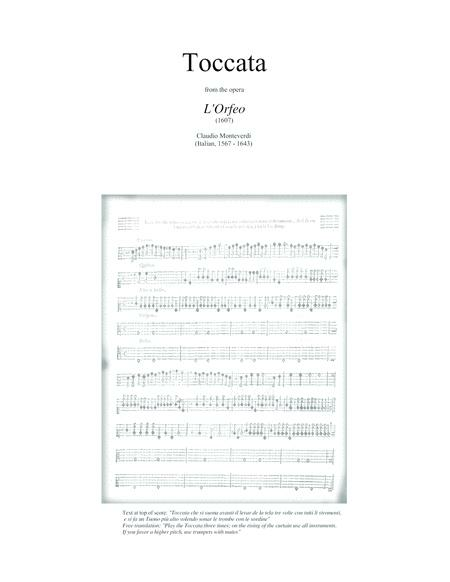 L'Orfeo is one of the earliest extant manuscripts to specify an exact instrumentation. This wonderful fanfare was originally written for 5 valve-less trumpets to signal the start of the opera. The flexible instrumentation of this transcription for modern concert band is playable by full band or brass ensemble with optional percussion. A great historic work for teaching and enjoying Renaissance music. The score gives historic notes regarding the composer, a synopsis of the opera, and performance suggestions. Each instrument part has an imprint of the original 1607 score as well as the modern notation. 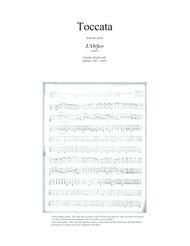 SAMPLE: You can view a non-printable PDF of the score and parts at www.bandroom.com . COMPOSER: Now retired, Brian Harris holds the Ph.D. in Music Education from the Florida State University and was a band director for over 30 years at public school and college levels. Many of his works are available from www.bandroom.com and through Sheet Music Plus digital downloads.